Life can be strange, and it’s made even stranger if you happen to have a supernatural power. In the first Life is Strange adventure we got to reverse time. Now we get to experience special abilities all over again with another story and new characters in Life is Strange 2. A mysterious power plays an important role in the full experience, although in this first episode it is revealed slowly, with small tasters here and there of what the power is and what it can do. Along with the obvious similarities in gameplay, there are other parallels with the previous Life is Strange games. You again take on the role of a teenager who has an interest in art and whiling away the time sitting and pondering about life. However, you don’t have to have played Life is Strange before to enjoy this sequel. They are both set in the same universe, and indeed the same geographical location (north-west USA), but the storyline and cast of characters is brand new. 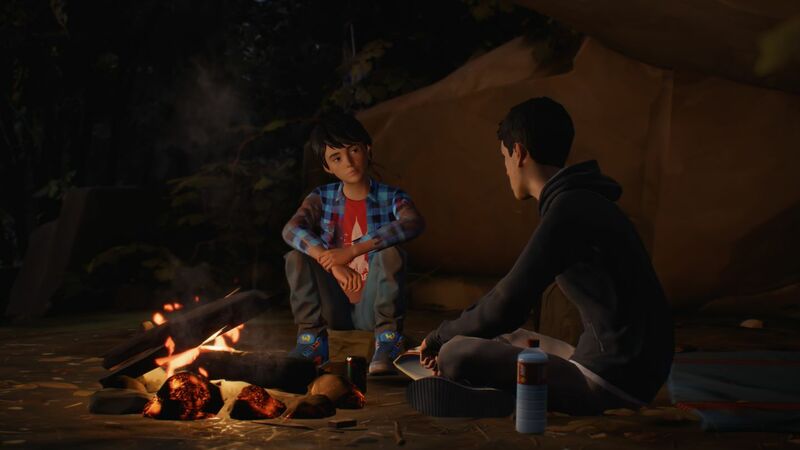 The story of Life is Strange 2 starts rather mundanely – you play the role of 16 year old Sean Diaz and are set the task of collecting supplies for a party, as well as keeping an eye on your 9 year old brother, Daniel, who is both endearing and annoying in equal measures. Decisions such as whether to take soda or beer do not seem very important and you are left wondering how they are going to impact the rest of the game. As usual in story driven adventures though, you need to make a very important decision early on – will you be good or bad? I always run with the thought that being bad will make things a little more spicy, so my initial playthrough saw me go and grab the beer. But then, after the first few decisions I ended up changing my mind as usual – it seems that I have a conscience even in video games. 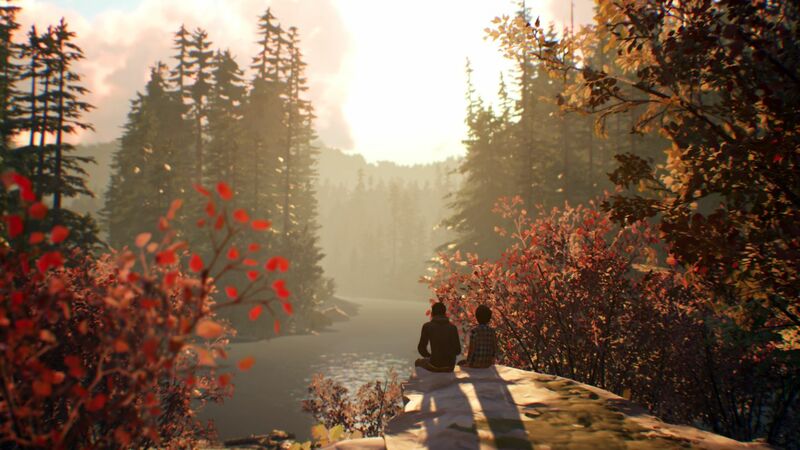 Just like the first chapter in a novel, the first episode of Life is Strange 2 takes a while to get going. We need to build the back story, understand the motivations of the two protagonists, click on every item in a room and read every poster and leaflet just in case we miss something important. Or at least it certainly feels like that is something we should be doing… again though, that may just be me. However, it’s not long before things in this tale take a turn, pretty rapidly going downhill when Sean and Daniel witness a tragic accident and start on an adventure together. I hoped that this would see an increased pace in gameplay but things still manage to plod along at around the same rate for the majority of the episode. Fast-paced and action packed it’s not and there have been a few times I’ve been left unfussed about returning once the controller has been put down. I’m hoping subsequent episodes will ramp things up a bit, both in terms of the storyline and excitement. As a person well into adulthood it has to be said that it feels a little strange to have been playing as Max, an 18 year old woman, in the first Life is Strange and even stranger that I now find myself as a 16 year old boy. It is a little disorientating at first, especially if you are on the wrong side of 20, but ultimately that shouldn’t put you off playing. Life may be strange but when you look closely, life and the decisions we have to make are pretty similar no matter whether you are male, female, young or old. Instead, it is the moral decisions made as part of this game that makes everything so interesting. These decisions not only influence storylines later on (the beer did make another appearance), but at the end of every episode you get to see the percentage of people from around the world that chose each option. It is here where you also discover some decisions that you did not even have to make – basically meaning that I missed whole chunks of storyline. I obviously did not read enough posters. The indie soundtrack that accompanies your time with Life is Strange 2 Episode 1 is both melancholic and atmospheric, matching the mood of the story perfectly. 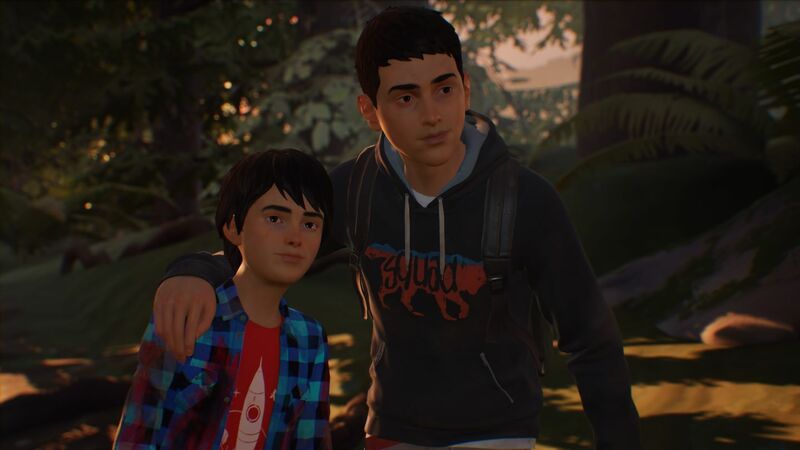 As to be expected from a Life is Strange game, the dialogue and voice acting are spot on and I felt fully immersed in the lives of Sean and Daniel. There are a few decisions to make that will quite obviously have a larger impact on the rest of proceedings and I did spend a while thinking about these – it was here where I found myself warming to the characters and caring enough to make sure the brothers’ journey went as smoothly as possible. The cinematic-style visuals further help to make you feel part of a movie; there are a few scenes set in a forest and the movement of the leaves and ripples on the lake are quite breathtaking in their realism. Sometimes you could almost forget it wasn’t real – almost. Next articleDLC plans for Darksiders III revealed!